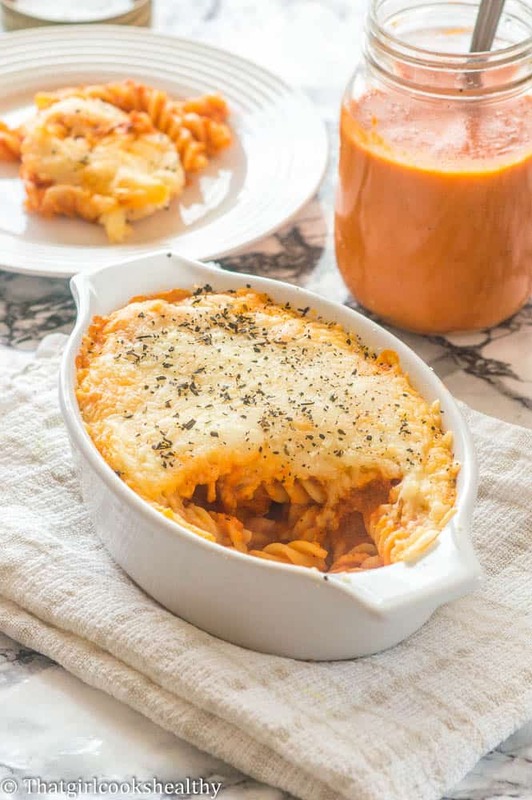 Who doesn’t love a good ole gluten free pasta bake? I mean c’mon be honest all that cheese topped on a nice bit of pasta is bound to get your mouth watering. 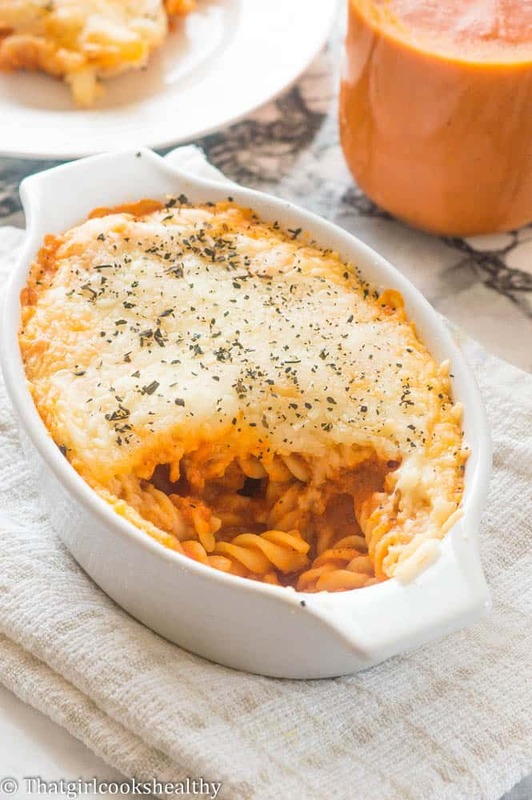 I’m a lover of pasta bake, when done properly meaning the pasta is al dante or a little shy of that and the tomato sauce is rich and full of flavour. While I won’t proclaim to be the expert of making pasta bake HOWEVER I have had my fair share of poorly prepared pasta bakes. I can tell the difference between a delicious and awful tasting bake for sure. My pasta bake is the epitome of fusion food where the deep south meets Italy with this creole fusion. 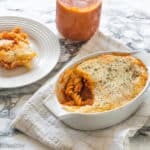 I know for some creole food seems rather complex to make and often entrenched with an abundance of seasoning but I promise you this recipe isn’t difficult especially if you’re already familiar with the traditional pasta bake. I would describe this as a culinary twist or remix if you wish. The majority of the ingredients are things you already stock in your pantry/vegetable basket. I will forewarn you that most of your time will be devoted to prepping the creole tomato sauce, as this is where the magic happens. The tomato sauce is what gives the dish its creole flair. Speaking of, let’s briefly touch on its origins, creole cuisine is a style of cooking that originates from Louisiana with influences from the British, French, Haitian, Spanish, German, Irish and Amerindians. Some common dishes include jambalaya, gumbo, crawfish etouffee. What you will also find in cajun/creole food is what is called the holy trinity which forms the base of many cuisines. The holy trinity is included in my gluten free creole pasta bake. These ingredients are celery, onions and bell peppers. I would go one step further and say the holy trinity is the equivalent to the Caribbean’s very own sofrito/epis/green seasoning. The gluten free pasta bake sauce becomes more flavourful and rich as it simmers for awhile so the longer you cook it the better the taste. When I made this recipe the first few times I left the pan simmering for roughly 30minutes , stirring and tasting the sauce periodically. You can however, get a reasonable amount of depth in flavour by simmering for half the time. You want the chickpea fusilli to be shy of al dente (which means firm). As the pasta is gluten free it’s quite delicate so handle with care. Gluten free pasta cooking time is fairly quick, cook only for a few minutes maximum and move the pasta in a back and fourth motion to prevent sticking. It is also very important to drain off the excess water and transfer the fusilli to the baking dish so it doesn’t continue to cook. 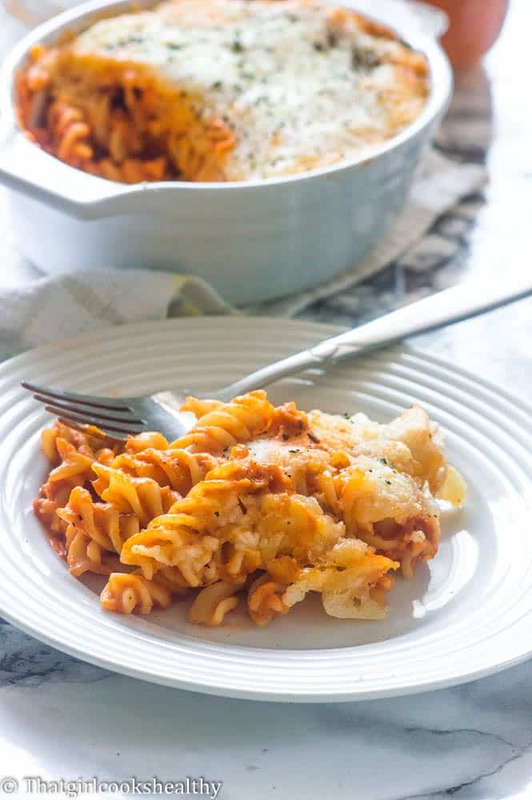 When you’re at the final stages of prepping the gluten free creole pasta bake, really combine the rich tomato sauce into the fusilli, be generous with it …..actually go wild and use the same principle to top the cheese. 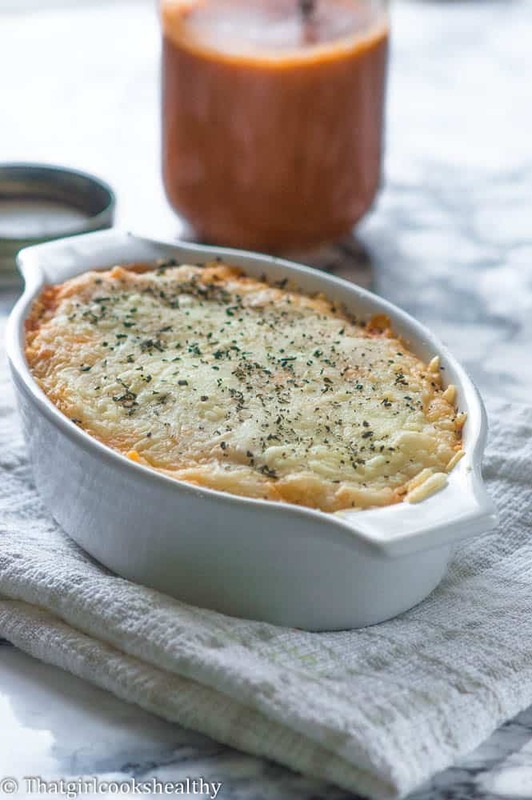 This is a perfect weeknight, hassle free dinner and would be perfect for double up as an easy vegan style dinner date meal. Proceed to sautee the holy trinity – bell peppers, celery and onions. Then add the passata and chopped tomatoes. Melt 2 tablespoons of coconut oil in a large frying pan or skillet, over medium heat. Proceed to add the holy trinity – onions, celery and bell peppers with the garlic and sautee until softened for approximately 2-3 minutes. Once the veggies are soft, pour the passata and chopped tomatoes into the pan and fold the vegetables into the tomato sauce. Let the tomatoes sauce heat through for 2 minutes before adding the bay leaves and herbs then stir all of the ingredients together. Reduce the heat to low and allow to simmer for approximately 20 minutes (30 if you want more depth in flavour). Once cooked, remove from the stove and set aside to cool down then discard the bay leaves. Pour the creole mixture into a high speed blender and puree into a smooth sauce. Bring a saucepan with water and fusilli to the boil, make sure to stir and/or move a slotted spoon in a back and forth motion. Once the pot has boiled reduce the heat and cook the pasta to slightly firm (al dente) this should take 3-4 minutes. Drain off the water then use a slotted spoon to transfer the pasta to 26cm roasting dish, distributing evenly. Pour as much sauce as your desire onto the fusilli and fold really combine both the sauce and fusilli together. Store the remaining sauce either in a mason jar in the refrigerator or in a freezer friendly bowl to re-use. Bake in the oven for 10-15 minutes until cheese is slightly golden. That looks really good. Can’t wait to give it a try! This dish looks absolutely delish! It’s a pity that I don’t have an oven in my lil Muscat flat. Anyhow, I look forward to trying this recipe when I’m back in the west next autumn. Take care and enjoy the remainder of your week. Hi Ceil. Thank you. You can always use a grill to achieve a golden crusty top. This was a hit with my family, which includes a picky toddler. Great way to get veggies into a tomato sauce. Sharon, so glad you and family liked it. Toddler friendly recipe, who knew!! wonderful! !